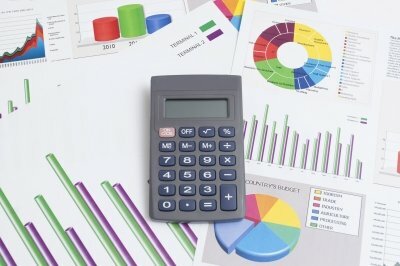 Are Startup Financial Projections Worth Doing? Sure, we all know – when you are a founder of a start-up putting together financial projections, the numbers are largely guesstimates. Young ventures don’t have the business history needed to properly predict, budget, and forecast revenue and expense numbers. That doesn’t mean the founder(s) shouldn’t go through the exercise though. Show me the numbers. Even if the numbers are only your best guess, show your potential investors that you at least understand finances. There seem to be way too few entrepreneurs who truly understand finance – both in general concepts and the specifics for their industry and their individual business. The inflow. Based on the little history you have (assuming you have revenue already), what do you project the revenue to be this year? Next year? Over the next three years? It it project/service based revenue or recurring revenue? Have you analyzed available finance information for existing companies in your market to understand industry trends and metrics? The outflow. How about your expenses? What are the cost of good sold? What are your fixed costs versus your marginal or variable costs? What are the customer acquisition costs? How much do you now, or plan to, spend on marketing and sales? How much profit does each of those sales and marketing dollars generate in return on investment? Show potential investors that you understand the costs related to running and growing your business, and that you have legitimate plans for the funding to use it in a way to accelerate the growth of your business. Burn baby burn. Make sure every dollar you are spending is a smart spend. It was incredible to watch the insane amount of waste that took place during the dot com bubble. Besides the fact that many of the businesses started during that time should never have gotten investments (because they weren’t businesses – some were just ideas at best), the money they did get from investors was largely wasted. Do you really need that fancy office and $2,000 chair to grow your business, or might those thousands of dollars be better used in specific ways to generate more users/sales/whatever? LTV. Or CLV. Depends on who you talk to but I always tracked and used LTV when building out projections. LTV=Lifetime Value (CLV = Customer Lifetime Value). When you’ve been running your business for a while you’ll be able to look at some historical metrics and develop this value. For a brand-new startup you’ll need to do some research and see if you can figure this out from other companies in the same or similar markets. LTV is powerful. When you know (or estimate) that the average customer will continue doing business with you for X months; and you know your target ARPU; and you know from cost analysis that your gross margin should be $Y (i.e. Z%) – well, it gives you a lot of power (assuming the math works out; if it doesn’t – re-think your plan). When you know you can spend a certain dollar amount and it should generate a certain dollar return over a certain period of time – that’s good stuff and investors love understanding this data, or at least having confidence that the founders understand this data and are working it into their model. BTW, execute! Of course modeling and predictions and planning only go so far. You need to be able to execute upon these plans and “make it happen”. And when things don’t go according to plan (and trust me, they won’t all go according to plan) then you need to be flexible and shift. Pivot? Maybe. To me a shift is a smaller increment than a pivot and founders need to understand and act at both levels. So, founders, Know Your Numbers. Even if it all has to change (and it almost certainly will [multiple times]) you need to go through these exercises to make sure you have a grasp on reality. It also gives you targets and goals to shoot for. You know what they say, without a defined target, you’ll miss it every time. One thing I have always found hard is, trying to predict numbers before you launch your startup. This is one thing I personally really struggle with. The guys at Mint nailed it perfectly, as they built a financial product and could prove to investors exactly what the value of their company was worth to uses and investors. Having a financial guy in your team is highly underrated and Brad highlights this face perfectly. Most startups start off with 1-2 programmers with skills in: front end, back end, UX & UI. Often there will only be a third person dealing in business. The role of the business side of startups is really complex, more often than not, the business founder mostly focuses on sales, user retention and growth. Leaving out, many crucial roles that need to be fulfilled. Usually programming and marketing come first in bootstrapped startups. These areas I mentioned are equally as important. Founders should not underestimate their inherent value. My best advice, define the role of your team members in more detail.